Do you have a passion for excellence in everything you do? Do you pride yourself on customer service and knowledge of furnishings and decor? Are you known for your attention to detail, accuracy, efficiency and organizational skills? Have you been recognized by your previous employers for your commitment to excel in serving your clients and supporting your fellow team members? Are you looking for an opportunity to build your career with a fast growing company truly committed to delivering excellence in every interaction with their clients, as well as developing and rewarding the skills of their team members? If you answered yes to these questions, we would like to hear from you. Tuck Studio www.tuckstudio.ca is one of New Brunswick’s most successful furniture, décor and interior design companies. Founded by Creative Director Judith Mackin in 2008 as a small studio on the ground floor of her home, the business quickly resulted in a loyal following, due in large part to Judith and her team’s strong commitment to excellence. In 2016, Tuck expanded into a brand new urban space in Uptown Saint John in the historic Trinity Royal district. 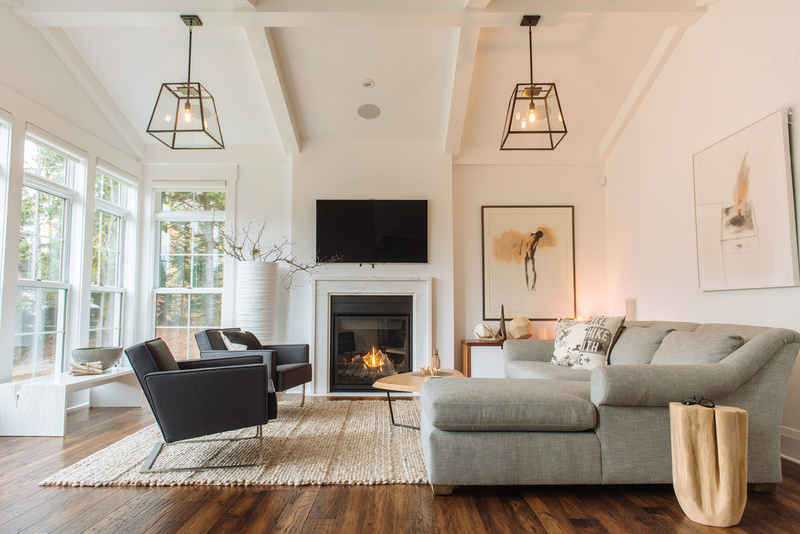 The company has continued to grow and expand, and in 2017, Tuck Interiors opened a new location on Grannan St. and launched a line of unique New Brunswick furniture “Slab – Wood from the Hood.” Tuck has a strong commitment to delivering excellence and takes pride in its ability to achieve client satisfaction ratings approaching 100%. This is an excellent opportunity to develop your career by playing a key role in an important Sales position with Tuck. 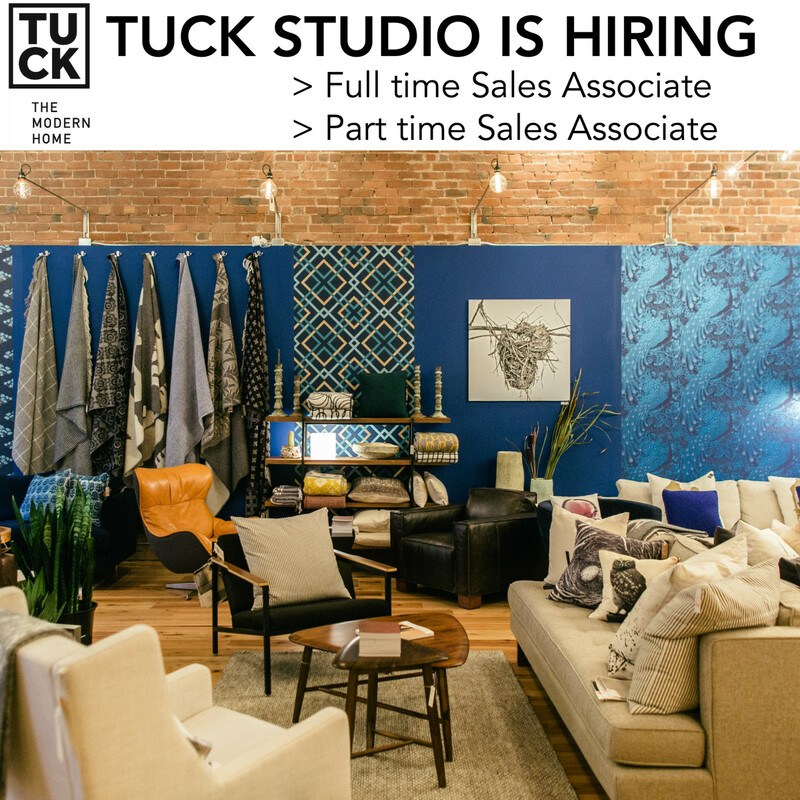 You will work with a team in delivering excellent customer service and offering furniture, lighting and décor solutions to our many clients both in the store and as part of our interior design sister company, Tuck Interiors. As part of our sales and design team, you’ll be providing the most knowledgeable and top rate customer service available. As our ideal candidate, you are recognized for your commitment to excellence in everything you do. You are known for your attention to detail and accuracy. You consistently exceed client expectations and go above and beyond in supporting the needs of your fellow team members. You have a proven track record of success in providing customer service and sales in a retail setting. Strong computer skills and highly proficient with Quickbooks is a valued asset, as is a valid driver’s license and the ability to lift and move furniture with assistance. You will work for a company that is recognized as the top in its field and values and recognizes the contributions of its employees. You will receive a good wage and Full Time positions receive a health and benefits package following a 6 month probation period. You will learn and develop in your career working with a collaborative team of creative, dedicated and talented individuals committed to Tuck’s success. To apply for this position, please send your resume and cover letter explaining which position you are applying for (either FULL TIME or PART TIME) and why you are interested in this career opportunity with Tuck in confidence to Heather at [email protected] on or before April 16th 2018 with the Subject Line: Job Posting (and which position). We will treat any inquiry or resume received with the utmost confidentiality. Only applications received via [email protected] will be considered. Please no phone calls or private messages.